I have very little nostalgia for the old Design Museum building. 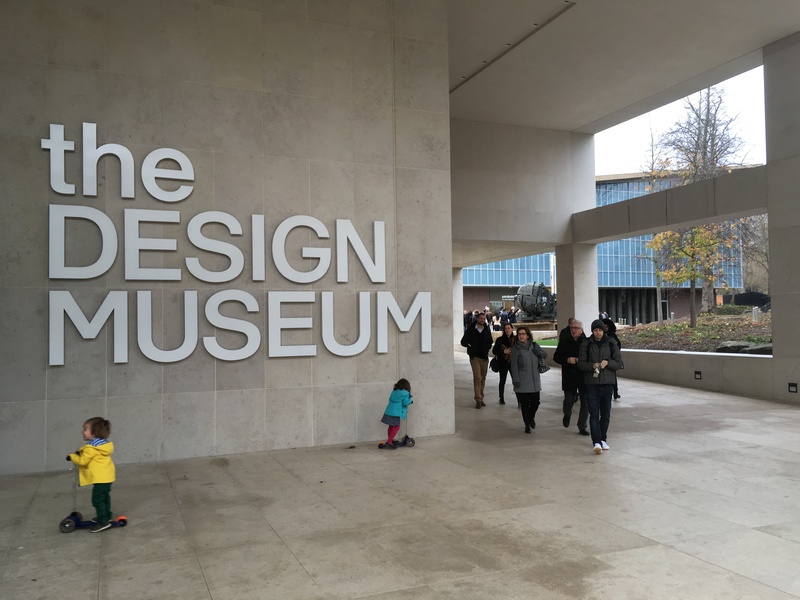 Its location near Tower Bridge was always a real effort to get to, and while an attractive modernist icon, it always felt small, very much one of London’s “minor” museums – not befitting London’s reputation as a global design powerhouse. On 21 November it reopened at a new location in Kensington, and I visited on the opening weekend. 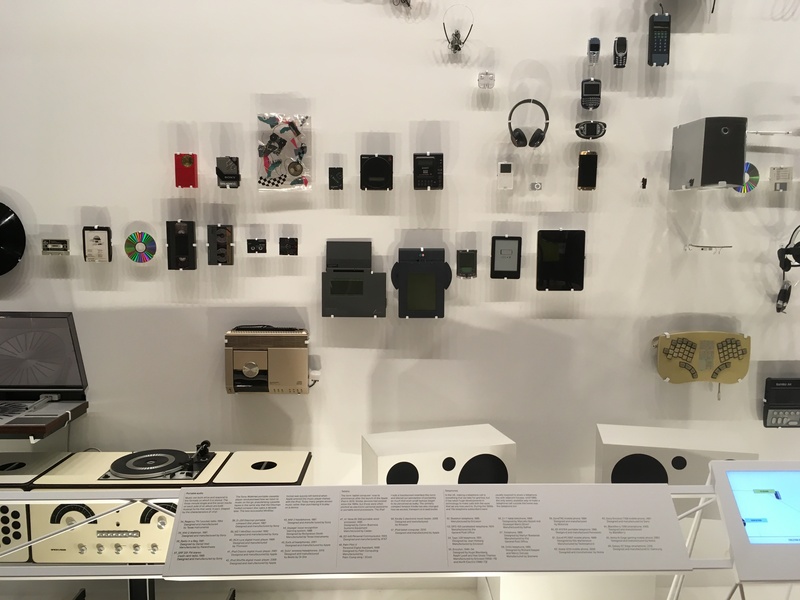 Part II: A digital Design Museum? I was worried about the luxury apartment blocks they built in the erstwhile Commonwealth Square, although I understand that’s how worthy projects a re financed nowadays. But the blocks are small, almost sculptural, and the landscaping leading up to the museum is attractive and offers ample space for queuing. There was a queue outside (about 30mins) for the entire weekend, and inside for the permanent collection, but this may have been because it was opening weekend. Visitor tip: buying exhibition entry beforehand lets you skip the queue for the entrance. There are two temporary exhibitions at the moment, Beazley Designs of the Year (£10), and Fear & Love (£15). 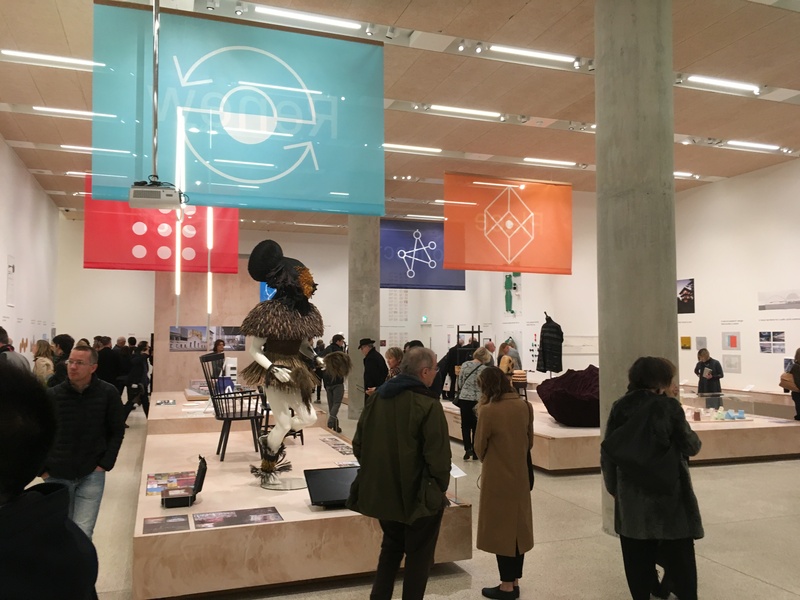 Becoming a member offers free entry for a year to all exhibitions for £65, which is a pretty good deal for a design-loving Londoner. Buying whilst in the queue on my iPhone proved impossible, their primitive payment gateway twice rejecting my card. 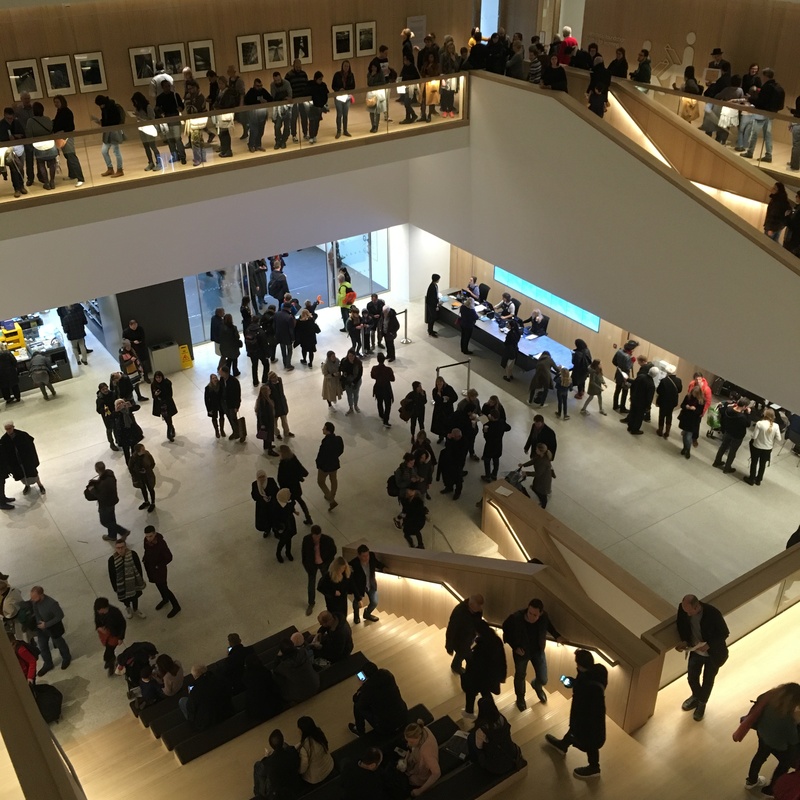 I’m not impressed with the designmuseum.org website either – acres of empty space and giant images, but difficulty finding relevant information like the exhibition prices. It also commits the cardinal form-over-function sin of using a hamburger menu at desktop resolution. This sends exactly the wrong message about the meaning of design. A modern take on the splash page. Come on — I thought we’d moved beyond this! I went to Beazley Designs of the Year first, starting off skeptical and unimpressed at its unremarkable presentation and the many small pieces each requiring a lot of reading, but I was quickly won over. Before visiting, I was debating with friends on Facebook what a contemporary design museum should be about. What makes it different from the V&A? How do you deal with the proliferation of media and technologies? I’m not sure there’s an easy answer, but almost everything in this exhibition deserved to be here. I enjoyed seeing product design next to advertising, next to architecture, next to digital applications, next to signage. I was impressed by work both functional and polemical, grandiose and small-scale, some I was familiar with but many more I wasn’t. The quality of the work kept me engaged and happy, and there was pretty much nothing I’d have expected to find in the V&A. Some memorable highlights: Refugee Republic, the Channel 4 rebrand, Margate’s Dreamland (I enjoyed the signage when we visited last month), Kids vs Fashion, the Via 57 West skyscraper, jewelry made from smog collected by an urban air purifier, and an armchair that looks like a rock. If I have one complaint it’s the amount of reading required. 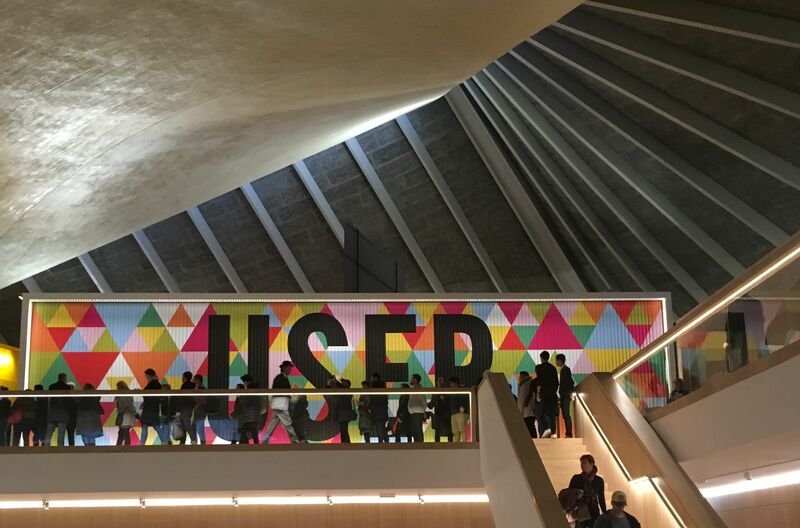 In fact, you could glibly say that’s the major difference with the V&A – they show work that you can enjoy without captions, whereas reading captions is pretty much a requirement in the Design Museum. I wished they increased the caption font sizes, which besides reducing the need to stoop would’ve forced the writers to edit down to the bone. Of course, I do often want to read more about a work. I wished that it was easier to “bookmark” an exhibit for remembering and future perusal on my phone. It felt silly that I had to photograph so many exhibits on my phone, for me to try to read the blurry captions or google later. Why can’t any self-respecting museum always have a single unique URL for every object they ever exhibited, whether in a temporary or permanent exhibition, where the information (and perhaps more) can be found? (E.g. accessed via QR code.) I don’t know if they fear that this would reduce visitor numbers, or copyright issues, but I can’t think of an obvious reason why not. Joining the queue for the permanent collection gave me time to admire the architecture and interior. The queue snakes around the central atrium, giving you a view and somewhere to lean against, so never feels tedious. I like the use of blonde wood panelling throughout – I remember the Commonwealth Centre feeling dark and cold, but this feels warm and welcoming. It smells pleasantly of wood and leather. The main staircase is cleverly combined with seating, creating an amphitheatre-like space and helping to create a welcoming atmosphere. I recognised a lot of the permanent collection from before the move. I think even many aspects of their display and captioning is the same as before, but it has also been extensively updated. The section on travel has a life-size new Tube train facade, and I wish they had more space to go into information and wayfinding design. The CityMapper app gets a well-deserved spot too. The exhibition layout is a bit eccentric and sometimes feels cramped (at one point I bumped my head painfully against a overhanging ledge), but the pieces seem important and well-chosen. I look forward to seeing how successful it is at explaining design to my children when they visit for the first time. In one room there is a large display dedicated to each of Braun, Sony, Apple and Olivetti, all of whom merits such attention. But in another room a large wall of electronic devices is urgently in need of better captioning – at the very least they need numbers so you can connect the correct caption with the object. I challenge you to connect the products on the wall with the right captions! Finally I went to the Fear and Love exhibition, which after the cornucopia of the Beazley awards felt a bit expensive for what you were getting (11 large commissioned pieces on the theme of “Reactions to a Complex World”, not all which come off in my opinion). Nevertheless, there are 3 pieces that really linger with me, one of which I’d say is worth the price of admission alone. 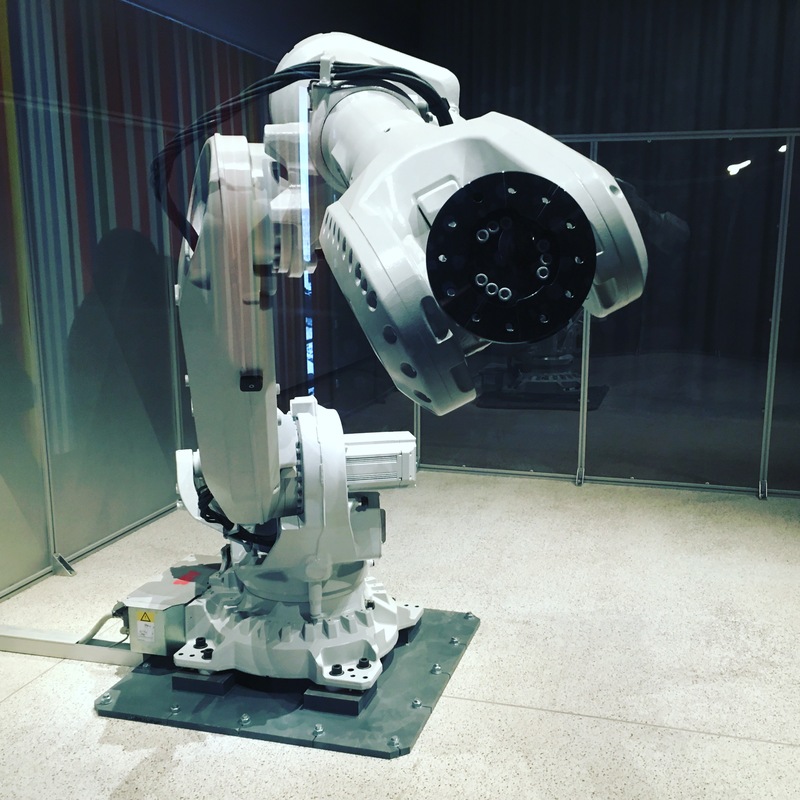 I’d rather not spoil the surprise for anyone who still wants to visit, but here (spoiler alert) is a video of Mimus the captive industrial robot. It needs to be experienced in the flesh though. I was reminded of the scene in King Kong where the chained beast is displayed to shocked theatre patrons, at once vulnerable, taken out of its natural environment, and clearly capable of wreaking terrible destruction. And also strangely endearing. I’d love to see my children’s reaction to Mimus; unfortunately the Design Museum charges £6 for children 6 and older. I also liked Vespers, a visually stunning interpretation of the death mask by Neri Oxman, and The Earth by Ma Ke. 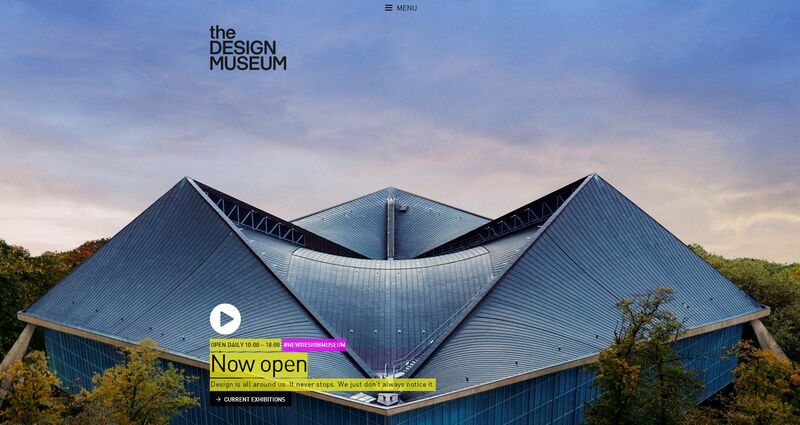 Before my visit I was discussing with some design colleagues the role of the Design Museum in today’s media landscape. How should, for example, interaction design be represented? It’s a difficult question. Interaction design is inherently unsuited to a museum setting. It requires one-to-one hands-on time, and ideally a task context. You can’t appreciate an interface by randomly clicking around; it reveals its success only in how well it responds to what you are trying to do. Museum visitors usually don’t have the requisite time, nor the task context. And hands-on technology in a museum is always a problem: keeping it running and protecting it from abuse. Many of the pieces are of course available online. But why should the museum rely on visitors Googling for it? If every exhibit had a canonical museum web page, it could contain official links and information for it, that would allow visitors to easily locate it online. But as we all know, links rot. Nothing stays online forever. For a time-limited exhibition like the Beazley Designs of the Year this may be acceptable, but what about work that deserves to be added to the permanent collection? What is a digital permanent collection? It follows that a true contemporary design museum should embrace digital archiving. To do this properly may well require embracing emulation, as the only way of keeping obsolete technology running. Currently the only institution taking this seriously is the Internet Archive, and I would hope museums around the world are looking at the example they are setting and the technologies they have developed for it. But even if that is a step too far for the Design Museum at this stage, then for digital work at least a video or screencast should be created, preserving at least superficially the experience in a format that’s much easier to preserve long-term and could form part of the museum’s canonical exhibit page. Ideally this should not be a “marketing” video, like many of these products already have, but rather an “objective” video depicting typical user journeys. This entry was posted in Architecture, User experience and tagged Design on December 5, 2016 by Francois Jordaan. Loved this, Francois. Fascinating! Must go soon. And I agree with you about the previous incarnation: too small and hard to get to for such an important subject. I’m glad they’ve fixed it at last.